Does early oral vocabulary predict literacy competence? Studies have shown that children who are less skilled in oral language at age 3 years and older have been found to be at a disadvantage in acquiring speaking, listening, and reading skills during formal schooling. 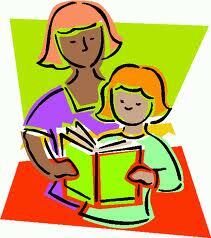 In fact, many studies have shown that oral language and reading abilities are closely related. Joanne Lee takes this a step further and investigates the relationship between oral language ability at the earlier age of 2 and literacy development up to age 11 using a large longitudinal data set of typically developing children from the NICHD Study of Early Child Care and Youth Development (SECCYD). The study, carried out in the USA, calculated the vocabulary size of 1,071 children (549 boys, 522 girls) aged 2, based on a checklist used to assess the receptive and productive vocabularies of children between ages 16 and 30 months and also between 30 and 37 months. The primary purpose of the study was to test whether early words measured at age 2 would significantly and uniquely predict subsequent language and reading skills of typically developing children. Three measures of early vocabulary were used to test which was the better predictor for later language and literacy development, (1) total vocabulary size (2) total number of verbs and (3) the proportion of verbs as function of total words. The children were put into large or small vocabulary groups if they fell in the top or bottom one-third of the list respectively. This was done for each predictor so that there were two distinct categories of children (those with large vocabularies and those with small vocabularies) for each predictor. The scores were then compared to sixteen language and literacy measures taken for the children at various stages between the ages of 3 and 11. These consisted of such things as verbal comprehension, expressive language, picture vocabulary and different aspects of literacy such as decoding skills, word recognition and reading comprehension. After controlling for individual differences in terms of socio-economic group, gender, birth order (whether the child was first-born, second-born etc. in a family) and ethnicity, the findings of this study show that early expressive vocabulary can significantly predict language and literacy outcomes such as letter identification, phonological awareness, vocabulary and reading comprehension over the span of 9 years. The best predictor was the total vocabulary size followed by the total number of verbs which was also a good predictor. The proportion of verbs as a function of total words did not turn out to be a good predictor. Thus, children with a larger vocabulary size (or even total verb size) at age 2 continued to be on an advanced language and literacy development trajectory than their peers with a smaller vocabulary size. One limitation of this study, acknowledged by the researcher, is that although early expressive vocabulary appears to predict subsequent language and literacy competence, the analysis does not explore the causal relationship between the two. Furthermore, measures of lexical composition other than the number of verbs produced, such as mean length of utterance or grammatical markers, could also be used to see whether these are better predictors of subsequent language and literacy than total vocabulary size. However, despite these limitations, the results indicate that there is a continuum between early oral development and literacy development and the work underscores the importance of starting work on literacy development with children as young as two years old. The researcher concludes by urging parents, caregivers and early educators to provide a language-rich environment for children in the earliest years in order to lay a solid foundation for their language and literacy outcome later in life. Have you ever been in a position where a person has told you a story about something that has happened to them and then you hear that same person telling the same story to someone else? You might have thought to yourself, “Hmm…that’s not the way I heard it”. That’s because it seems that our stories change according to who we are telling and what we are trying to achieve in that particular interaction. We all tell stories in our everyday conversations. Typically, the teller of a story gives a report of an event in its chronological order to one or more recipients. In doing so, the teller performs some kind of social action be it boasting, providing an explanation, complaining or apologising among other things. It is also well known that we modify our stories according to our audience and this is manifested in such ways as topic selection, word choice, how we open and close sequences and in the ordering of sequences themselves. When we are telling a story to several people at once we also modify the telling of the story to take into account the recipients’ knowledge of the reported event. But what resources does a teller draw on when telling the same story at different times and to different recipients who have varying degrees of knowledge and perhaps opposing perspectives on the reported event? This is what Maarit Niemelä and Mirka Rauniomaa have been investigating. In examining how one person tells the same story over a series of telephone calls to three different recipients they examine some of the features that change according to who the recipient of the story is. They also analyse what ‘stance’ the interlocutors take, in other words how the interlocutors portray themselves and others in a certain light in view of the subject matter at hand. The case they analyse involves a young man who makes three phone calls on the same day to three different people. 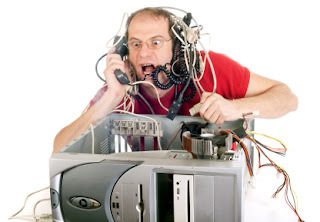 He tells each recipient about the trouble he’s been having with his computer monitor. The receiver of the call is already aware or is explicitly made aware during the call that the monitor had broken down and had been taken to the warranty service some time ago. Having got the monitor back from the warranty service, the young man had reconnected it and used it for a short time but it had broken down again. The researchers show that in each (re)telling some essential parts of the story remain constant, for example the order in which things happened and the highlight of the story which is that the monitor has broken down for a second time. However, other things that are less constant such as the evaluations and the degree of detail in the telling are shaped by the teller’s stance, the reason for the call and the relationship between the teller and the recipient. In all three cases the story might be categorised as a ‘troubles-telling’ story but in the first call to a law student friend the storyteller not only vents his frustration by using the expression ‘now I’m pissed off’ but also uses the call as a request for legal advice with the use of ‘you being a lawyer and all’ and ‘can you give me any advice’. The second call is to a flat-mate and again the teller displays his irritation with the use this time of ‘I’m so shattered’ but this call is considered to be for the purpose of providing information to someone who may be affected by the events by his use of ‘I just realized that I didn’t call you yet’. The third call is to someone that the storyteller seems to be more familiar with and who seems to be a fellow computer game-player. Again, the venting of feelings is explicit as in ‘bloody hell my computer monitor broke down again’ and ‘I’m calling like really angry’ but this time the call seems to be for the purpose of soliciting sympathy as shown in expressions such as ‘I need comforting right now’ and ‘this is so unfair’. By examining how stories get retold on multiple occasions the researchers have shown that a teller modifies the story in order to accomplish certain social actions and that individual features of the (re)tellings are designed with the recipient in mind and will depend on such things as the type of relationship between the teller and recipient and the shared knowledge they have about the events. So remember that when someone tells you a story it is rarely just a simple reporting of events! (Re)tellings of a Story to Accomplish Multiple Social Actions. SKY Journal of Linguistics 23:227-264.